C-TECC is an innovative program established at the University of Delaware to advance clinical science in academic, public, and community settings. In partnership with multiple community agencies and organizations, C-TECC conducts research and evaluation, trains mental health providers in evidence-based practices, and builds capacity in mental health care systems. One of C-TECC's principal missions is training the next generation of mental health professionals. Post-doctoral, graduate, and undergraduate trainees learn to build productive working relationships with diverse community partners. Through collaboration with these partners, C-TECC faculty, professionals, and students work to apply scientific methods to the analysis and solution of challenges facing mental health services. Delaware’s BEST (Bringing Evidence-Based System of Care Treatment) is a statewide effort to disseminate and implement evidence-based practices for children ages birth to five with emotional and behavioral disorders. C-TECC collaborates with the State of Delaware’s Division of Prevention and Behavioral Health Services (DBPHS) to train students, community clinicians, and early-childhood advocates in Parent-Child Interaction Therapy (PCIT) and Attachment and Bio-Behavioral Catch-Up (ABC). In addition, C-TECC conducts all evaluation activities associated with the training, implementation, and effectiveness of the project. BRIDGE aims to promote the inclusion of diverse perspectives in clinical science. The project focuses on three aims: supporting students from groups that are traditionally underrepresented in clinical science graduate programs, building connections between clinical science programs for the purpose of promoting inclusion and diversity in the field, and continuing to improve diversity and inclusion in our own program. ​With funding from the Delaware Department of Education, Project Compassionate and Response Education Services (CARES) is collaborative project where CTECC is partnering with a local school district, to implement and evaluate group-based trauma-focused services in a school setting. Activities associated with this project include: educating staff and families about trauma, identifying eligible students (i.e., those exposed to trauma and who report post-traumatic stress symptoms), connecting youth to school-based and community services, administering an evidenced-informed, trauma-focused treatment, and evaluating the feasibility and success of the program. The Delaware Project aims to redefine psychological clinical science training in ways that emphasize continuity across a spectrum of research activities concerned with (a) basic mechanisms of psychopathology and behavior change, (b) intervention generation and refinement, (c) intervention efficacy and effectiveness, and (d) implementation and dissemination. As a first step, the Project will bring together clinical scientists representing different sectors of this spectrum in hopes of creating productive (even visionary) dialogue leading to the articulation of new, improved models for training. A later step will involve publishing recommendations and best practices for training graduate students, interns, and post-doctoral fellows across all stages of intervention development science. The Project will also serve as a catalyst for generating web-based training resources and stimulating ideas for cross-program demonstration projects and practice- research training networks. 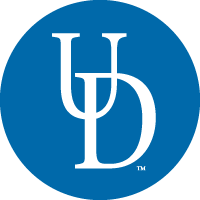 The initial meeting of the Delaware Project occurred in October, 2011 at the University of Delaware. Since then, the Center has worked to further Project goals along with stakeholders (listed under Funding). C-TECC currently plays a primary role in the development and maintenance of DelawareProject.org, an interactive resource for disseminating resources and information consistent with the Project’s training mission. The website includes training resources (e.g., course syllabi, problem-based learning activities), scientific resources (e.g., fidelity measures, methodological tools), announcements, relevant publications/presentations, and the proceedings of the October, 2011 conference. The core feature of the website is a portal whereby collaborators can submit resources for peer review and publication on the website. C-TECC coordinates the submission, review, and posting of resources. ​This pilot project funded by the Annie E. Casey Foundation (AECF) aims to develop an integrated intervention utilizing concepts from financial and parent coaching models. Clinical Science graduate students and the faculty at C-TECC will collaborate with multiple stakeholders, including financial and parent coaching experts, Head Start staff, and the funding agency (AECF). The project’s primary goal is the development and evaluation of a new intervention, Parenting Plus, which will target parenting and financial concerns in high-risk families with children ages 0-5. By targeting both finances and parenting, the program is expected to increase participants’ knowledge and skills in these areas, as well as have positive impacts on child development and family functioning. Beginning in 2008, Delaware's BEST (Bringing Evidence-Based System of Care Treatment) offered therapists training in Parent-Child Interaction Therapy (PCIT), an effective, evidence-based therapy (EBT) for young children. After BEST's innovative training ended in Fall, 2014, C-TECC launched the Therapist Adoption Project (TAP). TAP gave PCIT-trained therapists an opportunity to have their voices heard. In addition to an on-line survey, therapists were asked in a confidential interview to share, in their own words, their training and implementation experiences — problems as well as the good. ​Project Community Outreach, Referral & Early Intervention (CORE) aims to improve long-term outcomes for 12-25 year-old Delawareans who may be at risk for psychosis or who have recently experienced a first psychotic episode. The 5 year project aims to build a more continuous, seamless system of care for transitional age youth and improve access to community-based treatment alternatives for people with serious mental illness as well as develop a model for sustainability following the conclusion of the grant. C-TECC works in conjunction with the State of Delaware's Division of Prevention and Behavioral Health Services (DPBHS), the Division of Substance Abuse and Mental Health (DSAMH), and direct service providers to collect, manage, and report evaluation data with the ultimate goal of identifying outcomes and effectiveness at the conclusion of the grant.